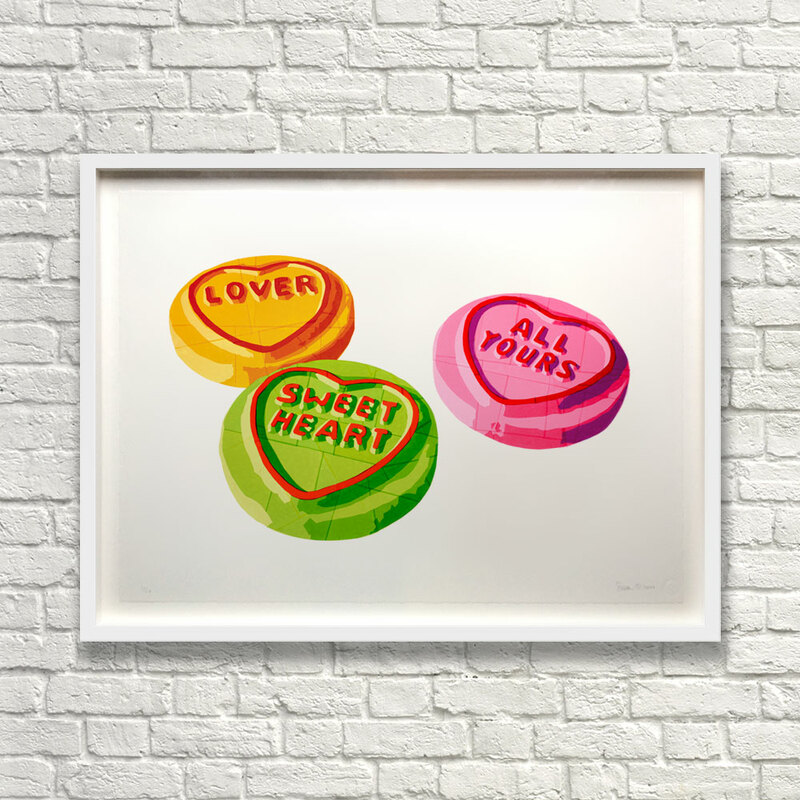 Editions of 50 SweetArt images, twice printed, hand finished, signed and numbered by the artist​. 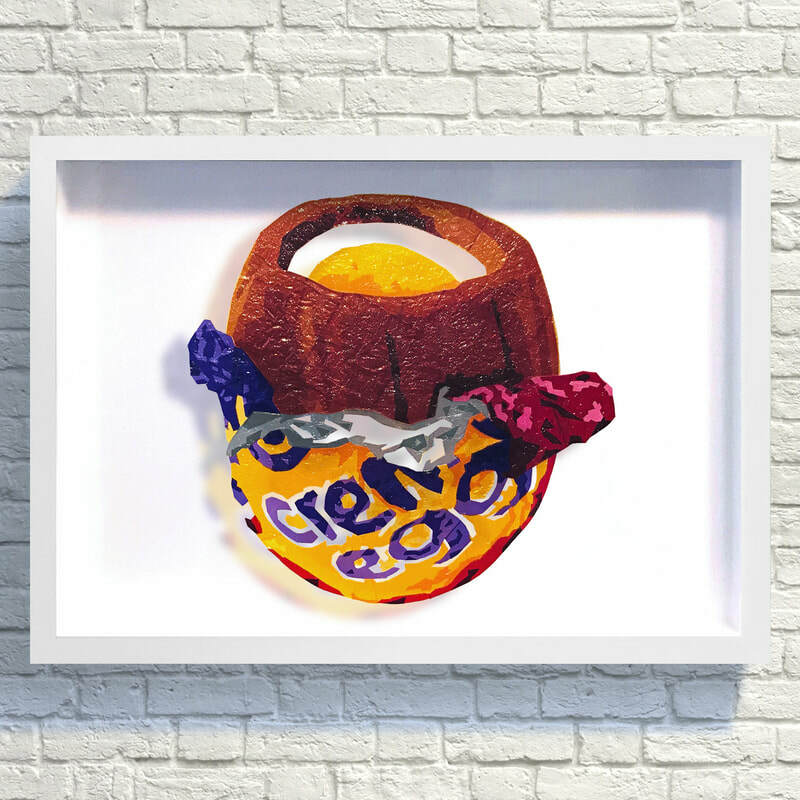 ​Framed or unframed, give them, keep them, post them or pin them on your wall! 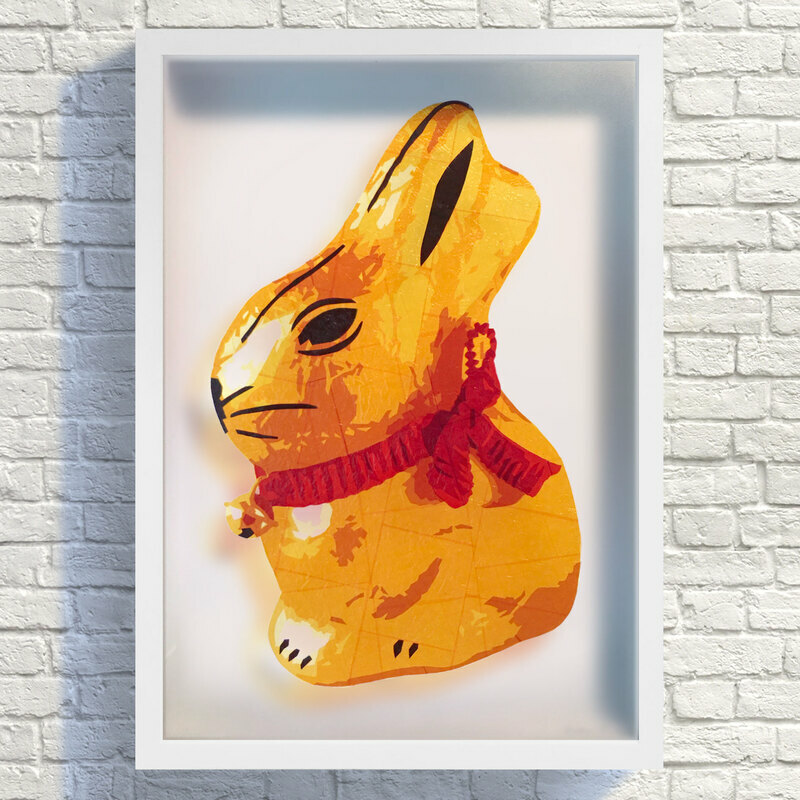 ​Original SweetArt is made in a complex multi stage process using discarded Quality Street wrappers to create giant iconic images of much loved sweets. ​Send a high quality SweetArt card for any occasion to your sweetheart, your friends, your family, or anyone you think is sweet! ​Throw them on your sofa, your bed, or send to someone you think needs something soft and sweet in their home! Find out about upcoming, current and past SweetArt events. 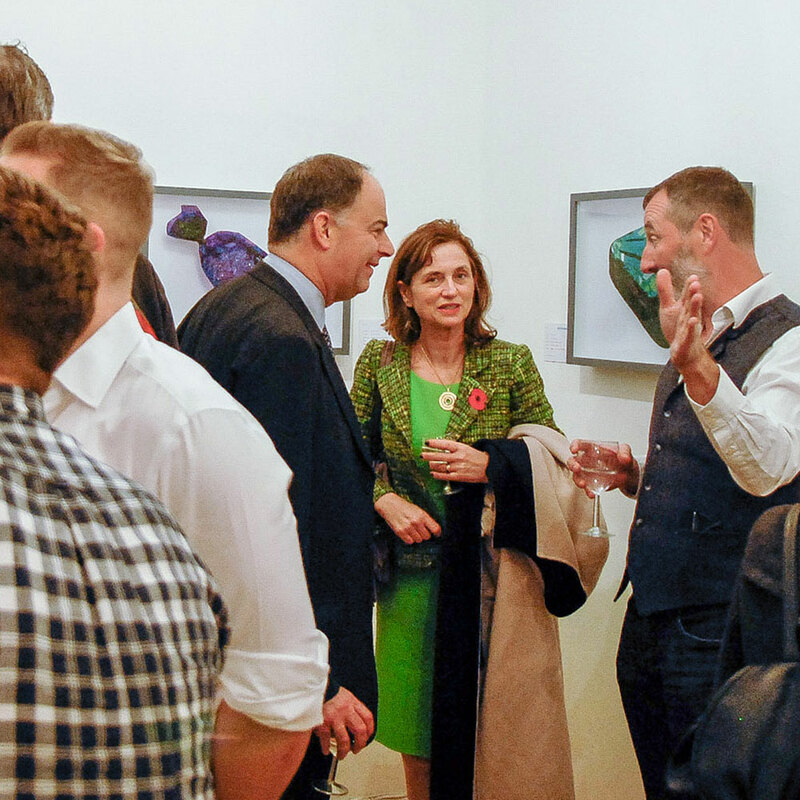 SweetArt, highly original images of much loved and iconic sweets, are made solely from discarded Quality Street wrappers. SweetArt is all about a love of art, sweets, nostalgia, making people smile and putting less single use plastic into landfill. ‘Crème de la Crème’ and ‘Bunny’ are here and going to melt some hearts!